I’ve currently got aprons in my mind a lot. 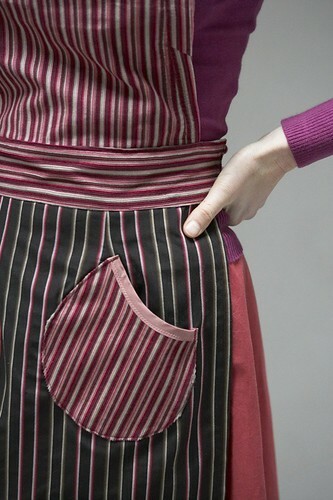 I’m working on an exhibition of aprons for Unit Twelve later this year which we are hoping to tour to other galleries. 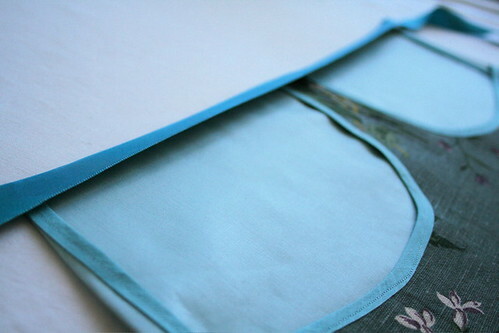 I’m co-curating and also making at least one new narrative apron for the show. Or at least I *will* be making one, I’ve not actually done it yet! 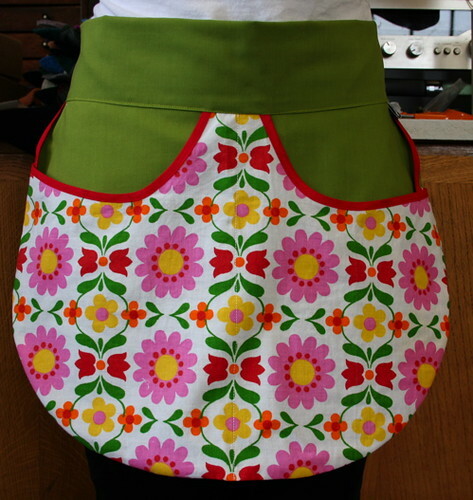 In the meantime, I thought I would share an apron I made years ago. 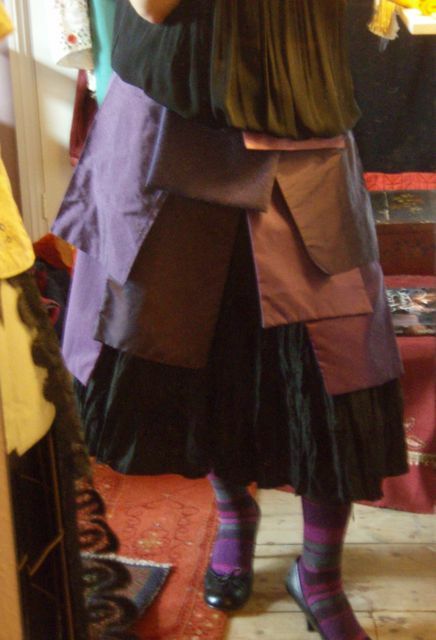 Inspired by Jenny Doh’s Art of the Dress challenge, I have photographed myself wearing the purple pockets apron as an overskirt as I love to do. There’s one in Sew Eco made from a restyled skirt. There was sort of one in Pretty Little Patchwork but the pattern never made it in. It is a real shame because it is a fabulous apron. Maybe it is time I issued the pattern myself. 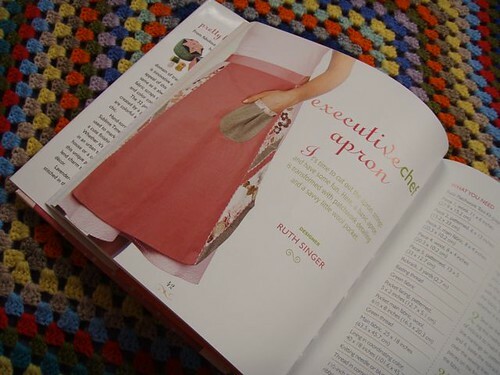 This one is in A is for Apron and Lark’s new booklet of apron designs. There’s one in Making Stuff. You can even see the project page on the amazon large image links, but it isn’t inspiring (terrible photo…). The apron is nice though. I've only ever made one and this was it. Must say I am still pretty pleased to this day with how it turned out. I do have a couple of much treasured vintage ones from my grandma; one of which has built in oven gloves – genius! I also love the plastic coated cotton one my little man has with a fish pie recipe printed on the front. Who'd have thought there was so much to the humble apron? Those purple pockets are fab. I do love a good apron.